If you want to span the gap between around-town commuting and rugged off-roading, both the 2018 and 2017 Jeep Cherokee are at your service. On the pavement, these small crossover SUVs are smooth, getting you through a day’s worth of errands in complete comfort. When it’s time for a foray into the great outdoors, these models also deliver, thanks to their strong, optional V6 engine and traction-enhancing all-wheel-drive capabilities. Both models feature a standard 2.4-liter four-cylinder engine, which delivers impressive performance with its 184 horsepower and 171 pound-feet of torque. For even greater off-road prowess and speedier highway acceleration, choose the available 3.2-liter V6. This engine cranks up the heat with 271 horses and 239 pound-feet of torque, giving you additional power to move through off-road terrain. Both of the Cherokee engines come with a smooth-shifting nine-speed automatic transmission, which performs with equal talent on-road and off. When you add the tow package, Cherokees with the V6 engine can tow up to 4,500 pounds. That’s a best-in-class figure. You can add all-wheel-drive to any of the Cherokee models, giving you impressive traction on soft surfaces, like sand and snow. If you plan to travel deep into off-road territory, test-drive the Trailhawk, which comes standard with this off-road-friendly technology. When you outfit your Cherokee with the all-wheel-drive system with the two-speed transfer case, you can even flat-tow this SUV behind a motorhome. Because the 2018 and 2017 Jeep Cherokees are both small crossover SUVs, they combine parallel-parking-friendly dimensions with a roomy cabin. Outside, you’ll find modern flourishes, like optional xenon headlights and 18-inch wheels. The trademark grille of the Jeep Cherokee lends itself to this SUV’s rugged stature. The 2018 Jeep Cherokee offers a few features that you won’t find on the 2017 model. The new Tech Connect package includes Amazon Alexa integration, so you can ask the system to play your favorite playlist or find the nearest ice cream shop. The Tech Connect package also includes a three-month subscription to Amazon Music service and Audible, enhancing your entertainment options on road trips. There’s also a new trim model for 2018, the Latitude Plus. It keyless ignition and entry, so you can hop in your Cherokee and get going with minimal hassle. The Latitude Plus also provides leather inserts in the upholstery, upgrading your overall experience. Both the 2018 and 2017 Cherokees offer the easy-to-use Uconnect infotainment system, which keeps you connected with hands-free calling and music streaming capabilities. Your kids can plug their laptops into the 115-volt outlet and do a little homework on the highway. If you’ve got an iPhone, you can use the Siri Eyes Free technology to use your phone’s voice controls and minimize distraction. And, thanks to the optional dual-zone automatic climate control in the Jeep Cherokee, you can set two different temperatures: one for the driver and one for the front passenger. This technology helps everyone stay comfortable for the long haul. 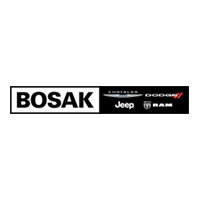 Visit our friendly staff at Bosak Chrysler Dodge Jeep Ram to test drive your Jeep Cherokee today. Bring any questions you might have along for the ride, because our team is specially trained to help you choose the right trim model for your needs. * EPA estimated mpg with 2.4L engine and nine-speed automatic transmission, 4×2. Actual mileage may vary.